Luke Brendling is an Itinerant Minister from the UK - a fired-up communicator who lives to see people set free by the power of Jesus Christ and brought into personal relationship with God. Born to preach, Luke’s dynamic and engaging teaching style has seen many people make the life-transforming decision to follow Jesus. His mandate is to stir up the gift of faith, lighting a fire in people’s hearts that will help them believe God for the impossible. Luke is passionate about making room for the Holy Spirit to work in people’s lives, and has a heart to empower the local church through his teaching. Luke made the decision to follow Jesus on 13th August 2004, and within a year had heard a calling from God to preach the gospel. He moved to Sydney, Australia to enrol at Hillsong International Leadership College, and preached his first sermon just over a year later. Upon returning to the UK, Luke was a Support Worker with YMCA, assisting young homeless people in their quest to get off the streets and move forward in life. In this 3 year period he also served as a youth pastor in his local church. 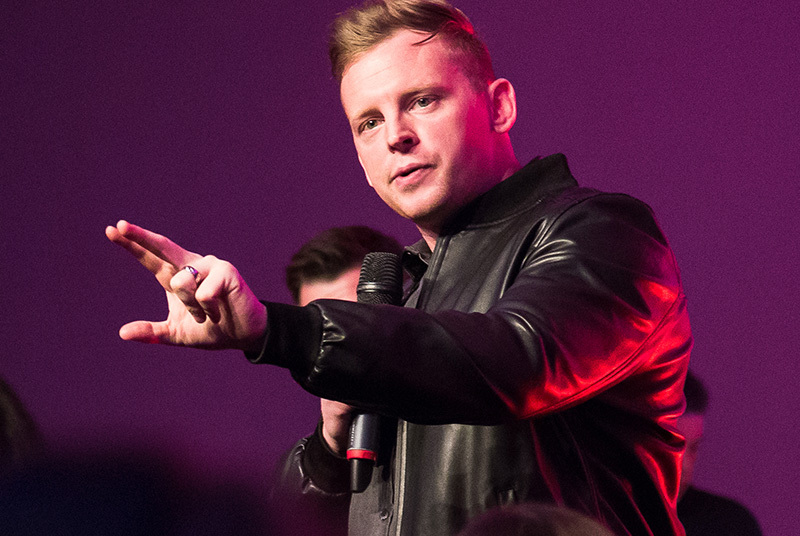 From there he joined the staff of Hillsong London for five years, where he helped launch, build and lead the Greenlight outreach project as well as serving on the preaching / teaching team before moving into full-time itinerant ministry. Luke has been preaching the gospel since 2006 and has spoken in the following nations: England, Northern Ireland, Jersey, France, Germany, Belgium, Holland, Finland, India and the USA. He has also appeared on several TV shows that have aired on both TBN Europe and Revelation TV. He speaks on a variety of platforms, including church services, conferences (young adults and mens), and outreach events. Luke is married to Lisa, and they live in Crowborough, East Sussex with their daughter, Lilah. In his spare time he enjoys going to the gym, supporting Watford FC and going for long walks with his wife. He is also a member of the the Cinnamon Network Advisory Council. Luke and Lisa’s lives were changed forever when, just four days before she was due to be born, they lost their baby girl Elle. The wrestle for them has been great and constant since that day, but despite the depths of pain and despair they faced, both Luke and Lisa continue to love God and walk in His ways. For Luke and Lisa, this chapter is only the beginning, and as a result of their continued faith in God, they have helped to bring hope to those who are suffering. This very personal tragedy has shaped the leader and teacher Luke has become, and the faith and hope he clings to are central to the inspiring message he brings.